Last weekend I was changing the oil in my car and had a few extra minutes to spare after I was finished. I decided to pop my head under the hood and give my engine a little TLC. To start, I removed the cold air intake and took a look at the throttle body. At first glance, it dawned on me that I hadn’t cleaned my throttle body in a year or two. It was obvious because the butterfly flange was coated in grime. Off to the auto parts store I went to grab some throttle body cleaner and a bag of beef jerky, too. When I got to the store I was faced with a wall of cleaners and sprays. So, which one did I choose? I did what any logical man would do – I bought them all! Out of the 5 cleaners I bought, I determined only 3 of them were worthy of your attention. These included CRC Throttle Body and Air Intake Cleaner, 3M Fuel System Tune-Up Kit and Gumout Carb and Choke Cleaner. 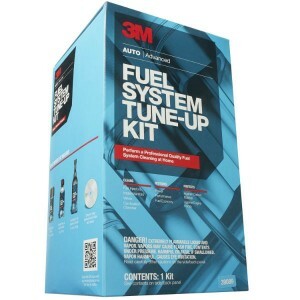 I’m usually skeptical of “tune-up kits” but I decided to bite the bullet and see if the 3M Fuel System Tune-Up Kit lived up to its name. Inside was a bottle of intake system cleaner, throttle plate/carb cleaner and complete fuel system cleaner. My original goal was to get my throttle body clean, but this kit had all the bells and whistles to get my entire fuel system clean as well. Using the cleaner in the box it allowed me to clean the fuel injectors, intake valves and even the combustion chambers all in one shot. Following the directions on the box, I removed my intake hose again to get access to my throttle body. Next, I slid the hose included with the bottle of intake system cleaner past the butterfly flange. Then, I put the intake hoses back together. 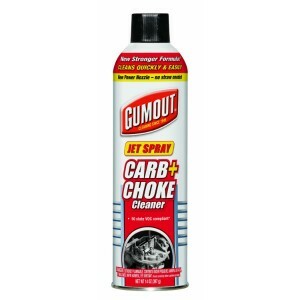 After I started the engine I sprayed the entire bottle of cleaner into the intake as it was running. This is how I was able to clean the intake manifold, valves and pistons without taking my engine apart. For the third and final time, I removed my intake hose to get access to the throttle body flange. I pulled out the thin hose from the intake system cleaner, now that it had done it’s job. Then, I used the bottle of throttle body cleaner to remove the grime from the front and back of the flange. Although this cleaner works great – it’s not a magical spray. After you apply it, you’ll need to use a paper towel or soft brush to remove the build up. It shouldn’t take too long, even if you’ve never cleaned the flange before. Just be persistent and use plenty of cleaner. Overall, I was satisfied with the results. You can get the same kit here for a lot less than I paid at my local auto parts store. A bunch of other reviewers have had similar results to mine. If you read some of the comments, you’ll notice most have good things to say. After using the throttle body cleaner included in the kit, they got the “pep” back in their car. What’s the Best Throttle Body Cleaner? 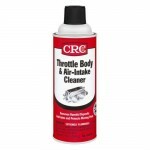 If you want help getting your throttle body clean but don’t need all that other stuff, then I’d recommend a bottle of CRC Throttle Body and Air-Intake Cleaner. 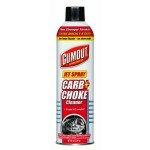 It will get the job done quickly and is safe to use on coated throttle bodies. If I had read the reviews online before I went to the store and bought a basket full of cleaners, I might have only purchased the CRC. Based on my experience and the reviews of others online, I’d say that one bottle of cleaner will likely solve your intake problems. Anyone that has rough idle or throttle hesitation, should take a look at the condition of their throttle body. 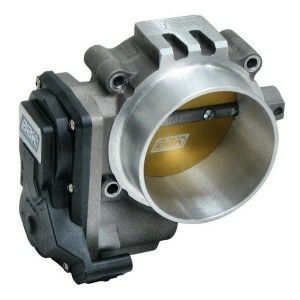 The reason you’ll notice problems during idle or light acceleration is because of the way the throttle body works. While your car is idling the throttle body stays mostly closed, allowing just enough air in to keep the car running. However, if the flange is coated with carbon or tarnish, the engine might not be able to get the air it needs. UPDATE: Since I first posted this article I’ve received quite a few questions about whether you should use carb cleaner or throttle body cleaner. In most cases, you should be fine to use carburetor cleaner to clean your throttle body. However, be very careful. On newer cars or trucks, the throttle body flange is covered in a clear coat to improve air flow. Using carb cleaner could potentially remove this delicate coating. Another thing to keep in mind is that throttle body cleaner is safe on the electronic sensors where as carb cleaner is not. So, which one are you going to try? I recommend the 3M kit or the CRC cleaner. After you’re finished drop me a line and let me know which one you decide to use and the results you get.